Welcome to Ad Astra, the school that Tesla CEO and inventor, Elon Musk, built for his kids because he didn’t like the one they were going to. The decision by Musk to pull his kids out of their existing school was inspired by his belief that he could improve on what he saw as an education that fell short of the expectations he had for his children’s education. "They weren't doing the things I thought should be done," Musk said in an interview which aired on Beijing television. "I thought ‘well, let's see what we can do. Maybe creating a school would be better’." Perhaps it’s no surprise that Elon Musk, a technology visionary and trailblazer, made his school markedly different to what children are used to. Musk said all students at his school, named Ad Astra, go through the same grade at the same time, like an assembly line. As for standardised tests? Gone. Ad Astra — which means “to the stars” — has a curriculum that caters directly to the individual talents of each child (who all happen to be the sons and daughters of SpaceX employees). “Some people love English or languages. Some people love maths. Some people love music. 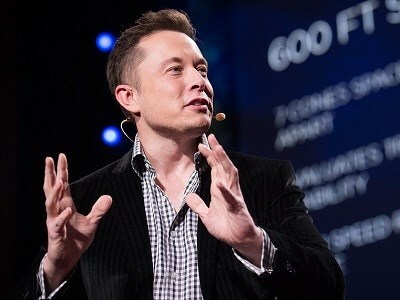 Different abilities, different times,” Musk said. As of its opening in 2015, there were about 20 students at the school. Perhaps not surprisingly, Ad Astra quickly caught the attention of millions following the interview on Chinese TV. Musk explained that he saw a fundamental flaw in how schools approach problem solving which – at least in the case of his children – needed to be addressed. “It’s important to teach problem solving, or teach to the problem and not the tools,” Musk said. Instead, Musk said it makes more sense to give students an engine and then work to disassemble it. “How are we going to take it apart? You need a screwdriver. That’s what the screwdriver is for,” Musk explained. Musk said that so far the school seems to be “going pretty well” and that the students are enjoying their – albeit very different – educational experience.